I took these pictures last Sunday. The sun was out for some hours and I was so excited. I knew I could not waste the sunlight (not sure when next I will see it). I miss summer sooooo much. 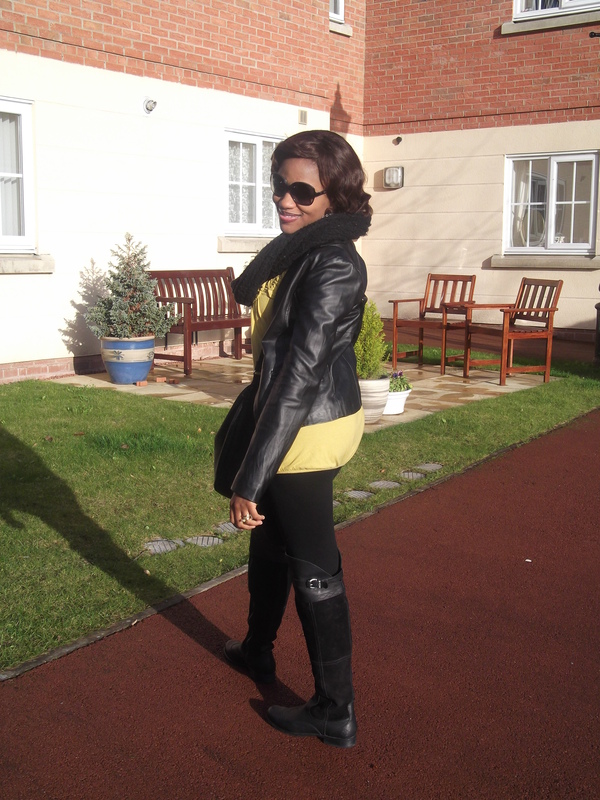 Anyways, time for the fun stuff, I am wearing a yellow top by Dorothy Perkins, black leggings also by Dorothy Perkins, a black leather jacket by Guess and boots by Timberland. 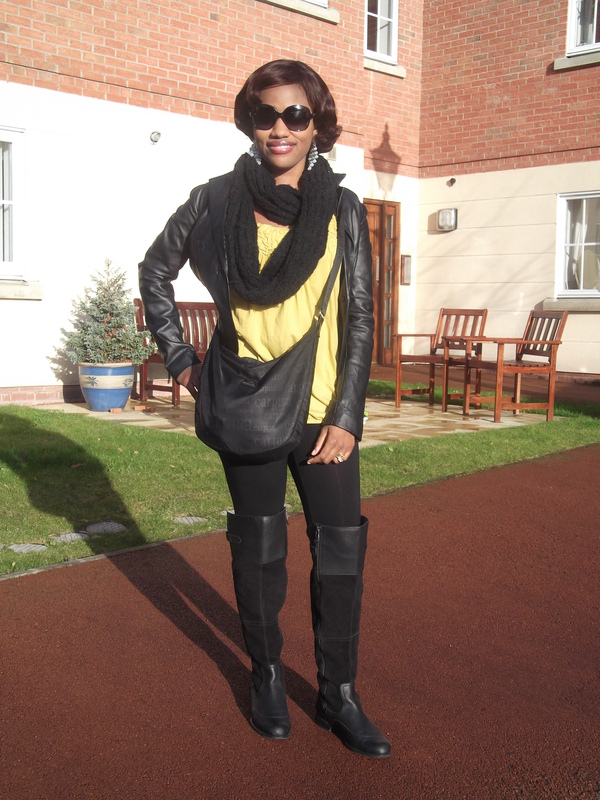 I accessorised my look with earrings by Next, a black scarf by Dorothy Perkins, a black bag by Carpisa and Gucci sunglasses. 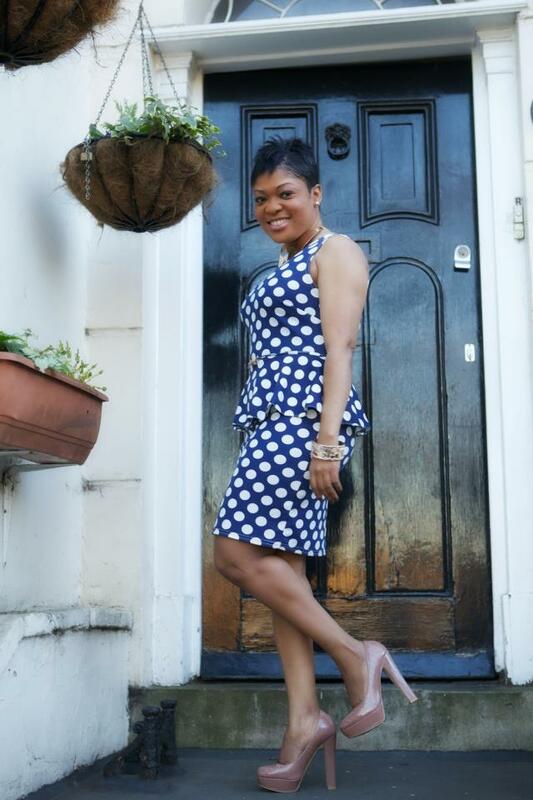 Our fashion diva – mid-week is the stylish Dee Maat from London – The owner of Style Check by DEE (A personal shopper and stylist service). Dee is wearing a camouflage top by Primax and a black maxi dress by H&M. 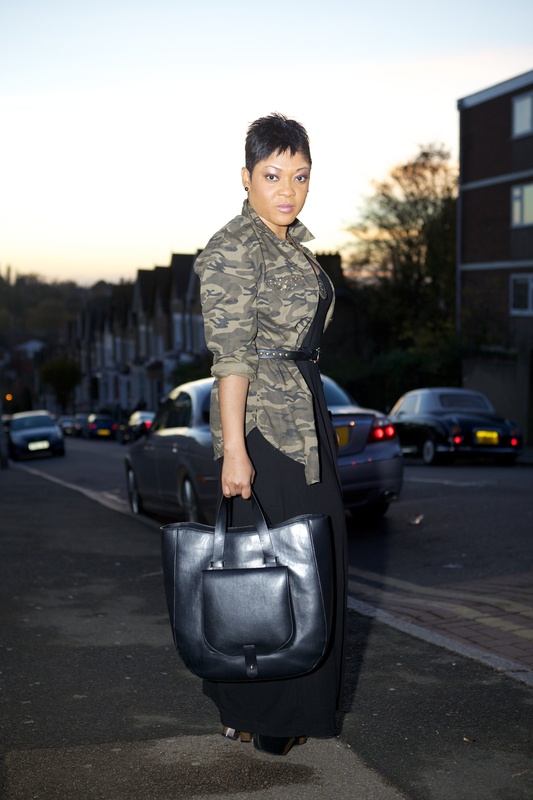 She accessorised her look with a black bag by Zara and a necklace by Evans – Lovely. 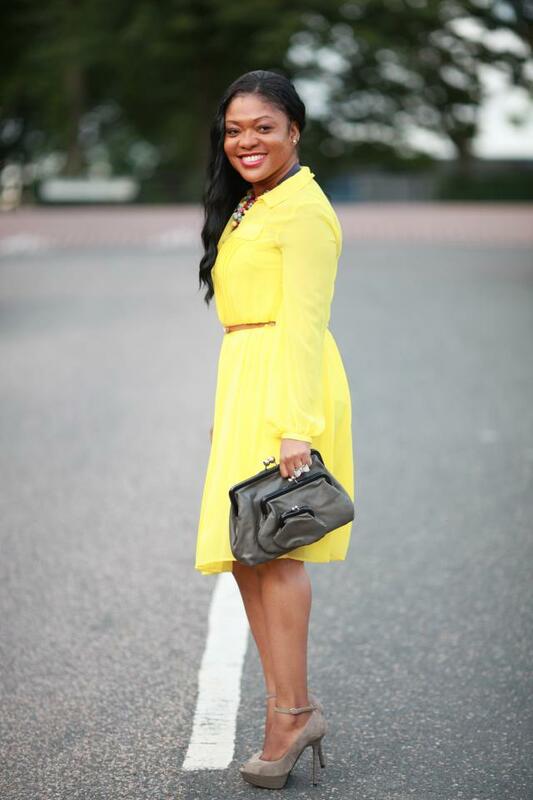 Here, Dee is wearing a yellow dress by Primax and shoes by Zara. Her look is accessorised with a vintage purse by TK Maxx, a watch by DKNY and a necklace by French Connection – Classy. Dee is wearing a dress by Primax and shoes by River Island. Her accessories are a rose necklace and bangle by Debenhams – Stylish. 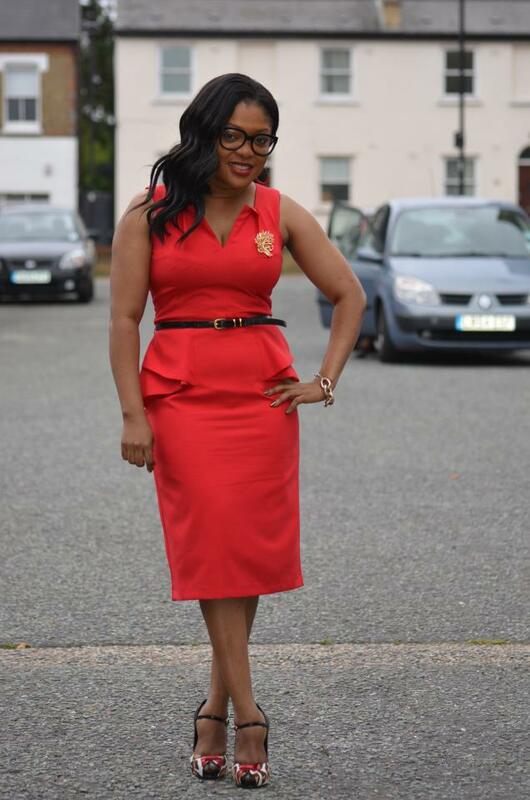 Here, our fashion diva is wearing a red dress by Primax and shoes by River Island. She styled it up with a gold bracelet and brooch by Debenhams – Elegant. 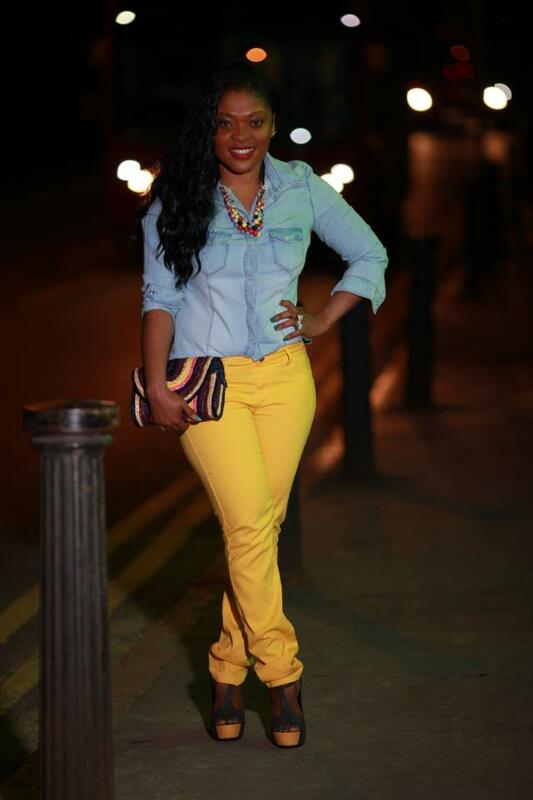 Dee is wearing a denim top by Primax, yellow skinny jeans by TK Maxx and shoes by Republic. 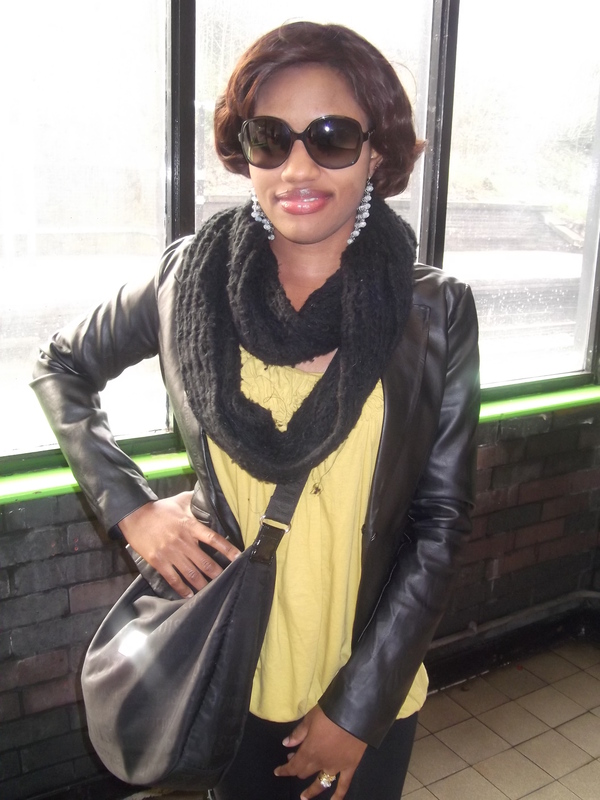 She accessorised this look with a purse by Primax and a necklace by French Conection – Perfect. 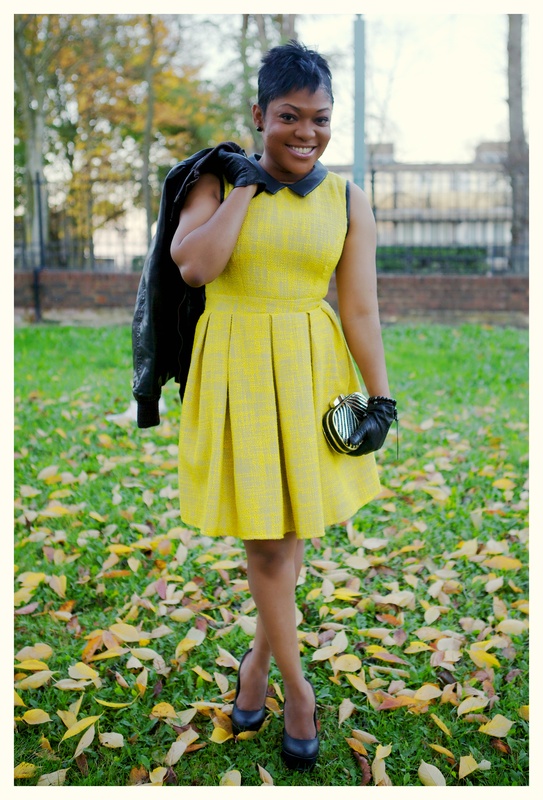 For her final look, Dee is wearing a yellow tweed dress by Primax, a jacket by Top Shop and shoes by New Look. 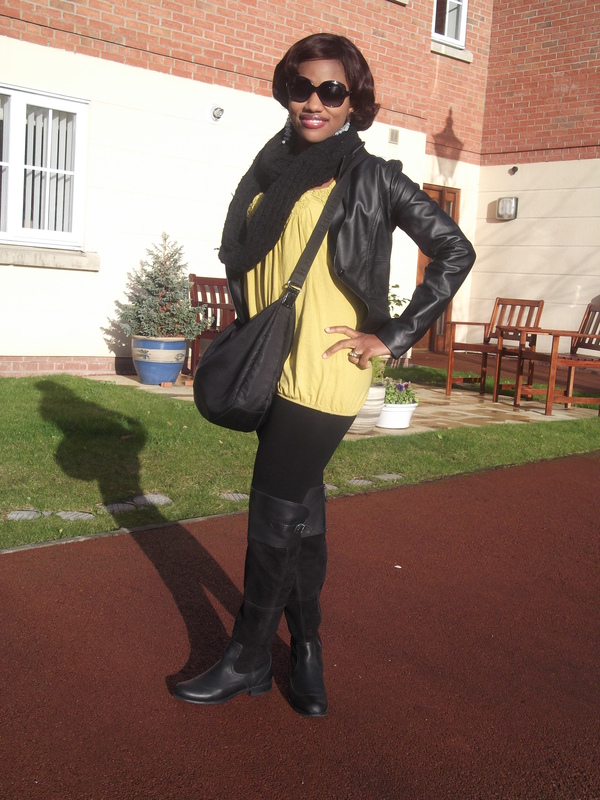 She accessorised her look with a clutch by TK Maxx and gloves by Top Shop – Cute. I am loving Dee’s style. I totally dig everything she has on. Have a lovely day peoples.